Today marks the release of the Nintendo Switch. The Nintendo Switch is Nintendo’s 7th home console. The company which boasts game titles such as Super Mario Bros. and The Legend of Zelda has been around since 1889! Believe it or not, Nintendo actually started as a playing card company. It wasn’t until the 1970s that Nintendo started its foray into the video game market. Since then, gamers have enjoyed numerous titles over the course of the past 40+ years. Lon-Lon Braised Cucco by Gluttonous Geek– We wanted to start out with one of our favorite video games, The Legend of Zelda. This particular recipe is inspired by Ocarina of Time, one of the series’ most popular titles. 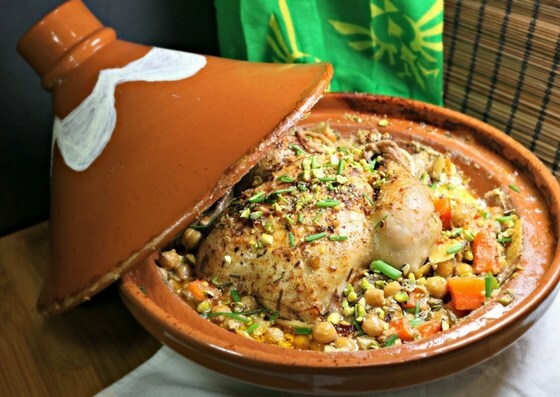 We are always looking for an excuse to buy a tagine as well! 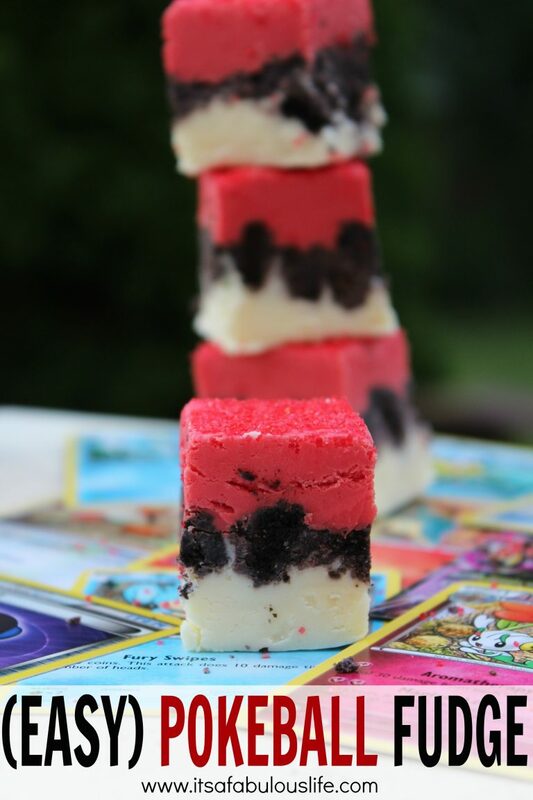 (Easy) Pokeball Fudge by It’s a Fabulous Life– With the continuing popularity of Pokemon, especially with Pokemon Go, we knew we had to include a Pokemon recipe. We really love the theming of this fudge and the use of the Pokeball colors! Princess Peach Cupcakes by PPR Freebies and Giveaways– Aside from the Disney Princesses, Princess Peach was our favorite Princess. These cupcakes are adorable and perfect for a Super Mario Bros. themed birthday party! 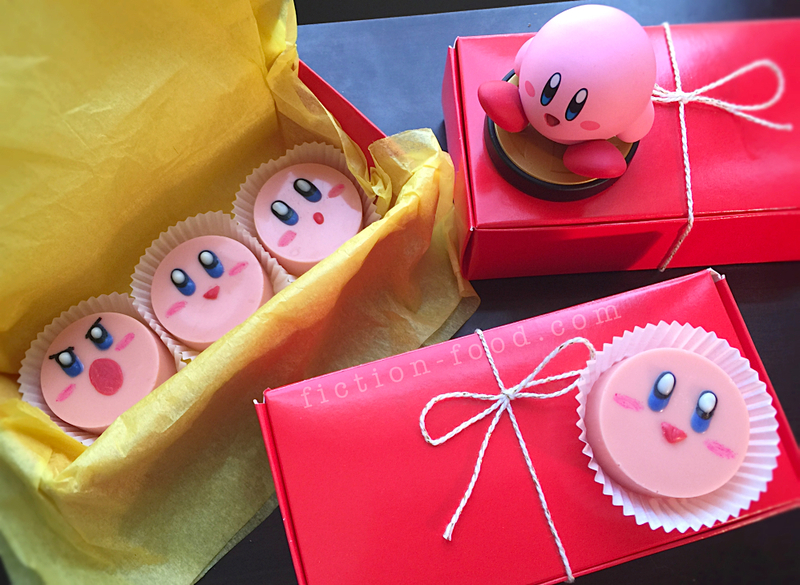 Kirby’s Candy Patties by Fiction-Food Cafe– We love this little pink guy. Who doesn’t love a creature who inhales everything? Sounds like some foodies we know (including us)! As far as candy recipes go, these seem pretty easy for candy and look fantastic! 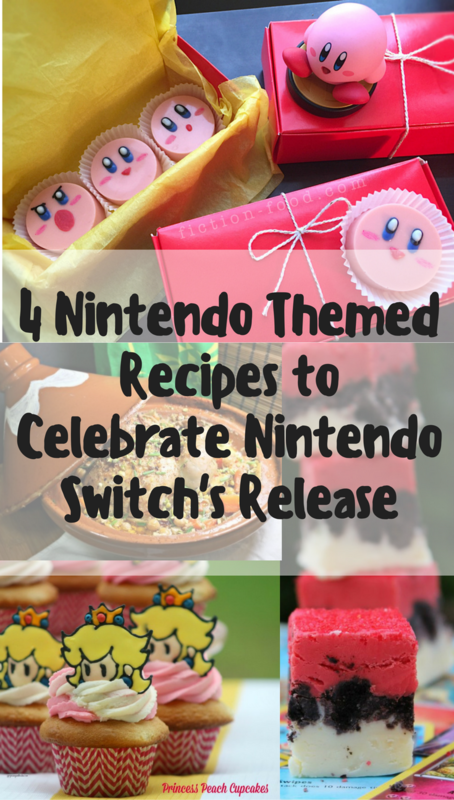 This is just a small number of Nintendo themed recipes that we found. For more fun video game food ideas visit our Video Game Pinterest Board! How will you be celebrating today? We’d love to hear, comment below or use the hashtag #GeekEats. So fun! I love the fudge. Hilarious. Great ideas for a themed party. I love a new recipe that allows me to buy new equipment too. Omg this is fabulous! I’m a Nintendo kid born and raised so this is totally awesome. 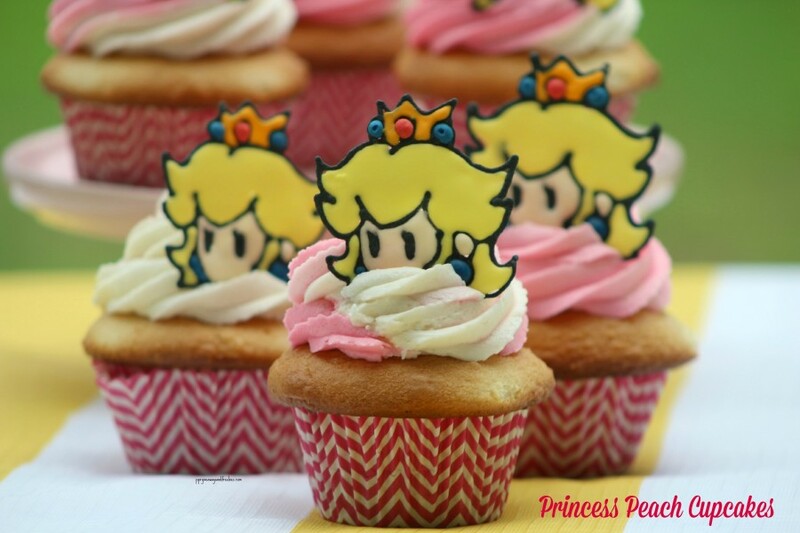 Those Princess Peach cupcakes are too friggin cute!! Wow this is amazing!! I was Nintendo obsessed as a child so this really takes me back!